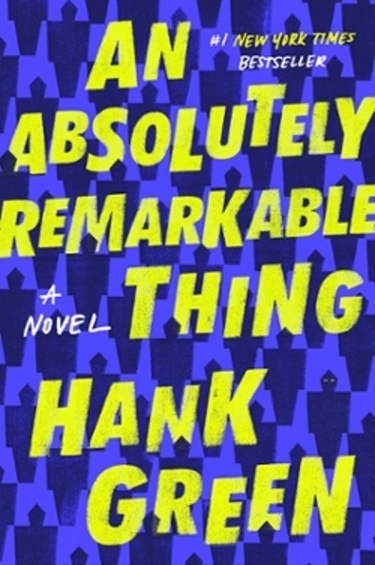 The College-Wide Common Reading Committee is pleased to announce the 2019-2020 common reading book is An Absolutely Remarkable Thing: A Novel by Hank Green. Green’s action-packed, witty story chronicles one young woman’s journey to find herself and save the world. Check out a review in the New York Times. What is Tri-C's Common Reading Program? Tri-C's Common Reading Program builds community and fosters intellectual engagement by drawing faculty and students together in discussion of a common fiction or non-fiction text. The program also creates venues for interdisciplinary learning as students explore the common text through different lenses in various classes and events across the college community. Unlike many colleges that only schedule programming for the text at the onset of the school year or in FYE courses, Tri-C provides exciting opportunities to engage with the text throughout the academic year. Please see the EVENTS tab for further information. Click here for information about how the College-wide Common Reading Committee chooses the text, faculty and student resources, and event updates. We look forward to working with you and your students in the coming year!